Free Summer Concerts in Rose City Park! Join Hollywood and Rose City Park Neighborhood Associations for their two Family Concerts in the Park. The Saturday, July 21 concert will feature The Kooltones. The classic rock cover band includes musicians Marty McCray, Jeff Munkers and Andy Campbell and Cam Dutz. Several of the band members have been playing together for nearly 40 years –they’ve played about every 50’s and 60’s hit song and have expanded their repertoire to include 70’s, 80’s, 90’s and even some current hits. They will get everyone dancing! RCPNA and the Hollywood Neighborhood Association will be co-hosting our annual free Picnic in the Park Concerts on Saturday, July 22nd and 29th. Both concerts will be held from 6 PM to 8 PM at Rose City Park at NE 62nd and Thompson St. Pack a picnic basket or get take-out from one of our many great neighborhood restaurants, and join your neighbors for a couple warm and sunny – let’s hope – evenings full of wonderful entertainment! 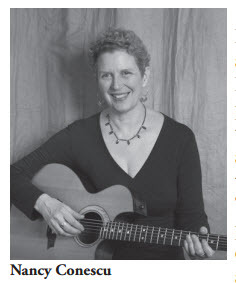 Our July 22nd concert will be an Irish Hooley, featuring Nancy Conescu, along with the Murray School of Irish Dancing. Nancy is widely recognized, particularly throughout Ireland, for her vocal and guitar work, where she has appeared on concert stages, radio, and television. 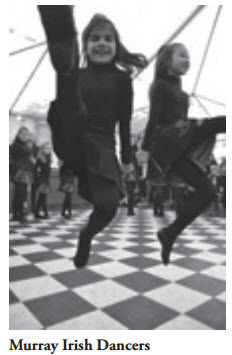 The Murray Irish Dance Troupe, well known for its high-energy performances and vividly attractive costumes, never fails to engage its audience, whether young or old. Every performance is marked by toe tapping, foot stomping and hand-clapping in the spirit of Irish culture, music, and tradition. For more information, please visit murrayirishdance.com. 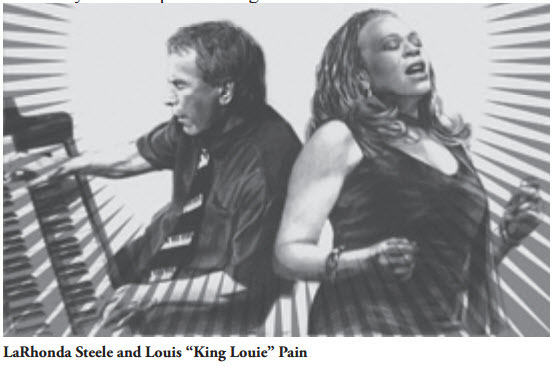 Our July 29th concert will feature LaRhonda Steele with Louis “King Louie” Pain. The duo appears annually at the Safeway Waterfront Blues Festival (the 2nd largest blues festival in the U.S.), and they’ll be performing at Italy’s prestigious Porretta Soul Festival just days before their appearance at Rose City Park! LaRhonda’s daughters Lauren and Sarah will also perform, to complete an evening filled with a mix of blues, jazz, and gospel. More online at larhondasteele.com and louispain.com. Email concerts@rcpna.org to volunteer for setup or cleanup, or for more info.